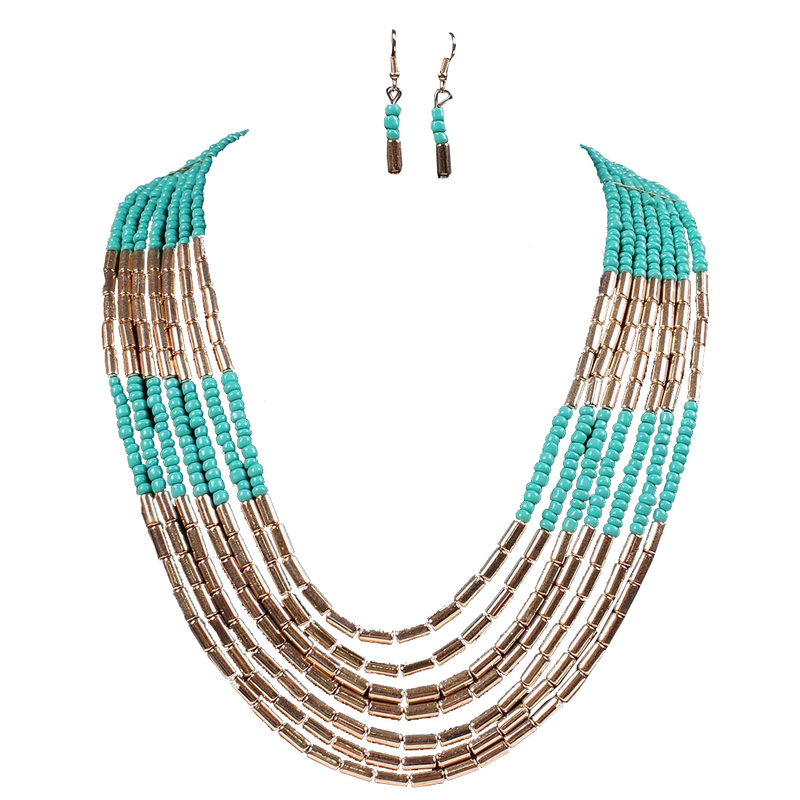 Fashioned with blue round beads and antique golden long beads, this Antonia Multistrand Necklace Set will bring an eye-catching finish to any ensemble. Drop earrings with fish hook closures. Shop beautiful necklace sets from one of Australia’s finest online costume jewellery stores right here, right now!